Having exceptional scenic beauty, Halong Bay is not only one of the most stunning and impressive sights in Vietnam but also one of the greatest natural wonders in the world. Treat yourself to a trip on Halong bay tours and Halong bay cruises in order to truly explore its beauty and peacefulness. 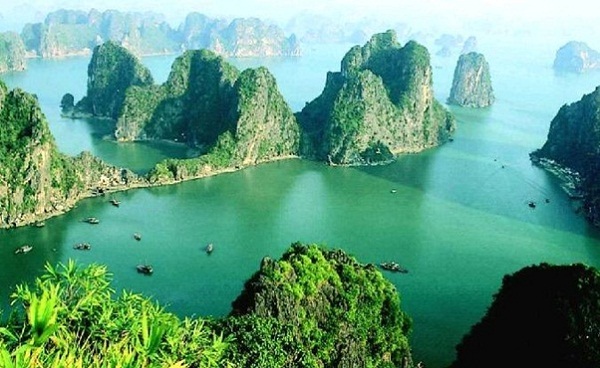 In Halong Bay, summer officially starts in June with the mean temperature of about 29 degree Celcius. The maximum day time temperature can spike to 35 degree Celcius while night time temperature is at 25 degree Celcius. It may be sunshine time during 8 hours each day. In this month, there is an estimated some days of rain and the average rainfall is 175mm. However, during the days, the rain will not last long but a short time. 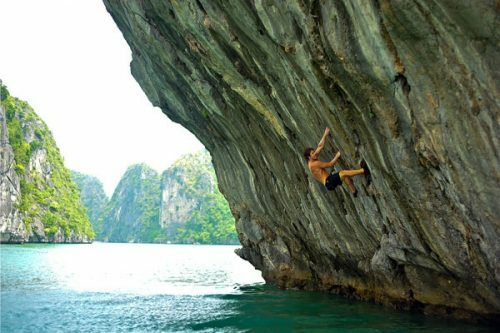 June, whose sunny time allows you to participate in many outdoor activities and to have a relaxing time on the sandy beaches, can be seen as the most suitable month in the year to visit Halong Bay. In addition, in this early time of summer, storms normally do not reach Halong Bay. 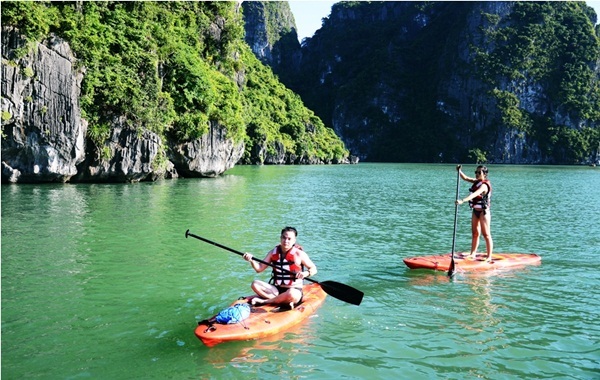 As visiting Halong Bay on a cruise, it is a must do to paddle to get closer to the great limestone island while getting low to sea water and tasting the beauty all around. 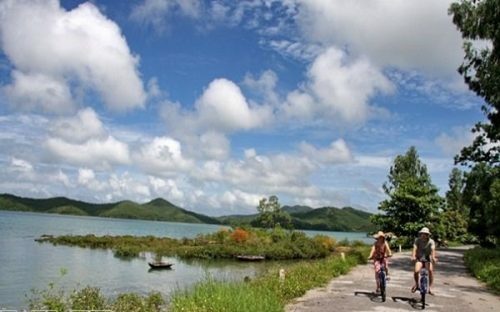 There are more things to do including: biking, trekking on Cat Ba Island, fishing with locals, row to visit colorful floating village, visiting a cave on the island, enjoying a BBQ lunch on the beach or a special dinner in cave as you do an overnight cruise on Halong. In this sunny time of the year, all the activities are so exciting. To get the best view, witnessing incredible sunset on a high location (boat’s sundeck, islands) is one more thing that you should not miss. 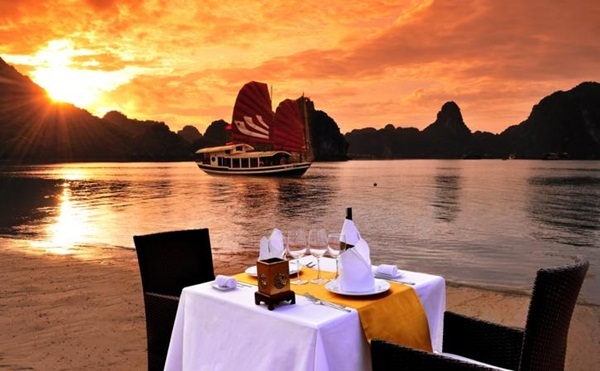 Do not miss it as Halong Bay can be one of the most stunning places in the world for sunset watching. 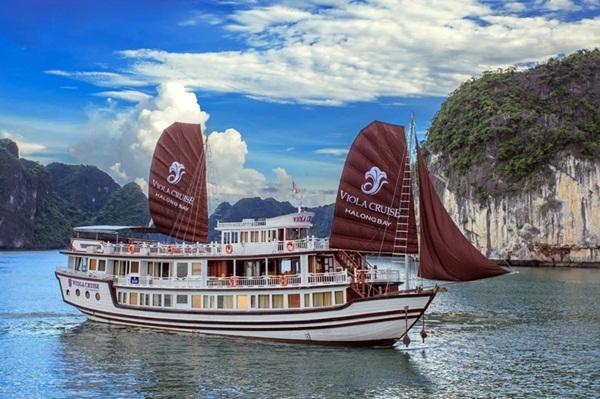 Most cruise operator will have special summer promotion starting from the first of June as the months from June to September, are thought to be low season for travel on Halong Bay. When choosing a cruise in June, do not forget to ask for this summer promotion deal. 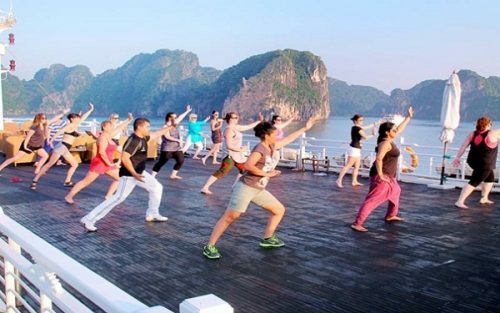 It is unsurprising that all travel agencies and hotels in Hanoi have cruise tours to sell as it is the most popular way to experience the bay.